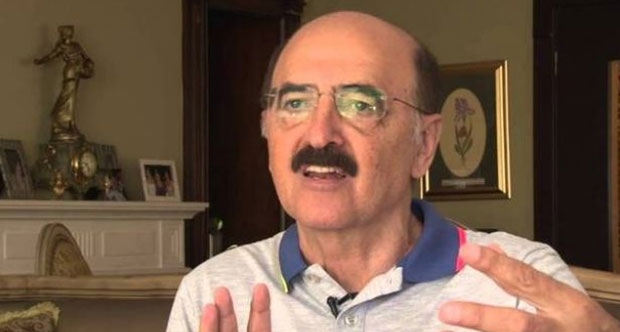 Syrian-born Turkish journalist Hüsnü Mahalli was detained on Tuesday night after pro-government anchorman targeted him for his remarks regarding the ongoing war in Syria. Main opposition deputy Barış Yarkadaş announced Mahalli’s detention on Twitter, saying that the Syrian columnist is accused of humiliating the Republic of Turkey and insulting its statesmen. 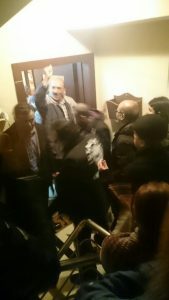 Police detained Mahalli in İstanbul. He currently writes for the Yurt daily. Erkan Tan, a host for the staunchly pro-government A Haber TV, recently targeted Mahalli, calling him “the dog who belongs to a murderer,” in reference to embattled Syrian President Bashar Al Assad. Repulican People’s Party (CHP) İstanbul deputy Barış Yarkadaş shared a photo from his Twitter account while police took Mahalli to police station from his home in İstanbul.